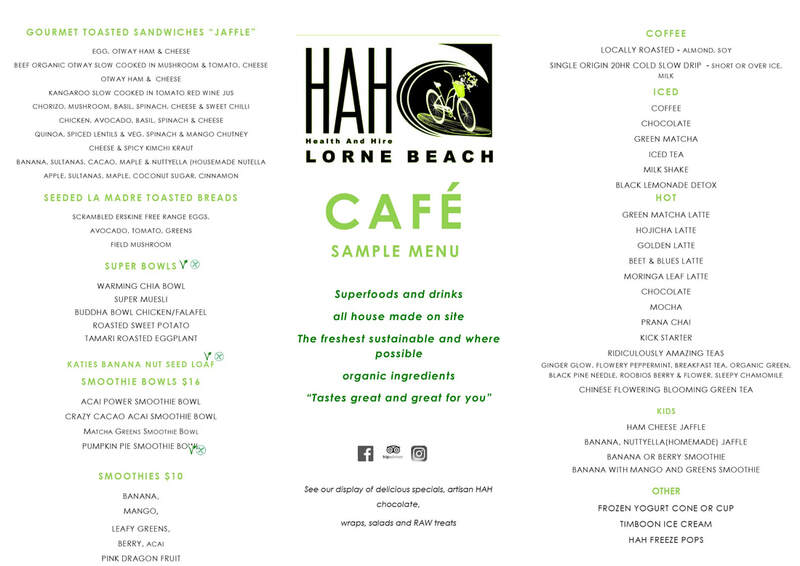 HAH - Health & Hire Lornebeach is the healthy lifestyle cafe choice in Lorne, Great Ocean Road, Victoria on the beach. ​Our food and drinks are made in house and sourced locally. With the hire of bikes to explore the foreshore and a quiver of soft surfboards, bodyboards, SUPs (stand up paddle) for all levels with direct beach access. 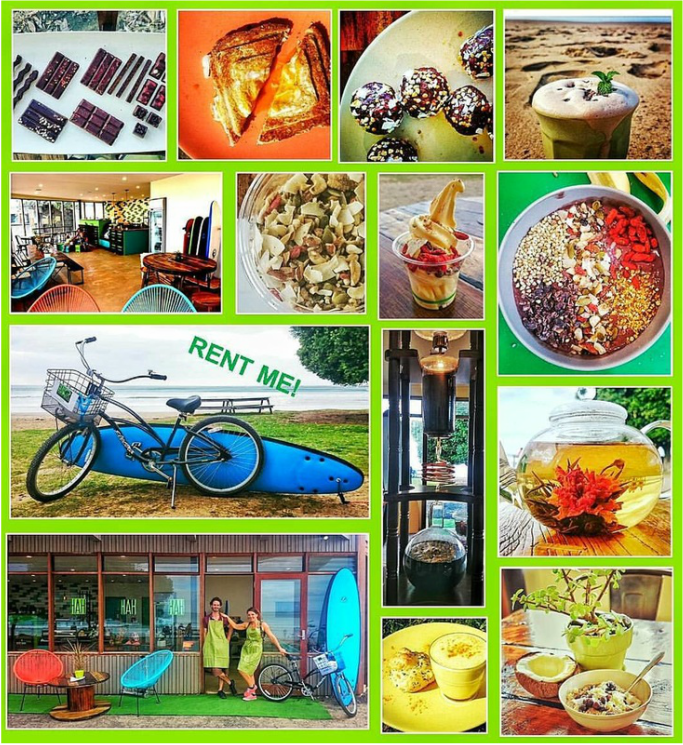 We stock, sell and provide healthy wholefoods, sustainable products and beach retail. I​Our food and drinks are all made in house from the freshest, sustainable and healthiest ingredients. Vegetarian, Vegan and paleo friendly. We stock and sell sustainable products such as reusable JOCO cups, metal and bamboo straws, healthy wholefoods, educational books, beach fashion and fun games. 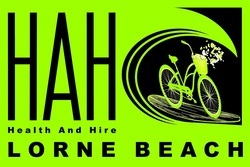 We welcome you to come on down and experience HAH Lornebeach! Experience a healthier alternative every day of the year, right on Lorne's iconic foreshore.